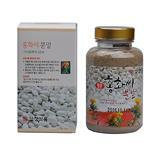 Fermented top quality soybeans with bamboo salts that have been dissolved in pure water. Made with our belief that fine paste products must be shared with everyone, this product has long kept its originality and fine reputation. 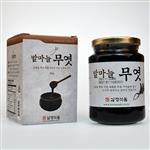 Try making your every meal healthier with this Doenjang with. 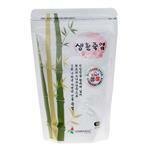 Bamboo salt Soybean Paste is is a kind of bean paste made of fermented soybean and 3 times roasted bamboo salt. 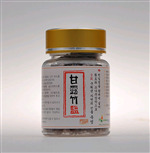 Bamboo salt Soybean Paste is uniquely Korean traditional condiment. Bamboo salt Soybean Paste is fermented under traditional natural conditions for 3-4 years, such as in giant crocks and under the sun (see below image). Korean traditional crocks are used for aging and storing many kinds of my bamboo salt fermented products. 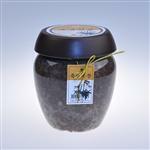 Bamboo salt Soybean Paste is mainly used in making soups, seasoning, and dip sauce. Add 10~15% more Bamboo salt Soybean Paste than normal bean paste, it's less salty than the other paste. This product should be kept in a dark and cool place away from direct sunlight. Please store in refrigeration after opening. Expires one year from the manufactured date. Due to the nature of this product, some deposit on the bottom would be found but that is not foreign bodies. You may use it without problem. Reference: Ahn Hong-beum (Spring 2004). 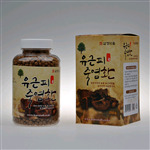 "Ganjang and Doenjang: Traditional Fermented Seasonings" (in English).